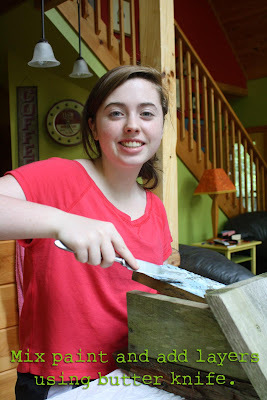 My mom is going to be on an upcoming episode of TLCs new show Craft Wars and she's making projects every week with other contestants from the show inspired by the theme of the week before. Last week's Pop Craft challenge was to make a junk drawer themed birdhouse. We had two of these old birdhouses sitting in our yard, so we decided to both decorate one. 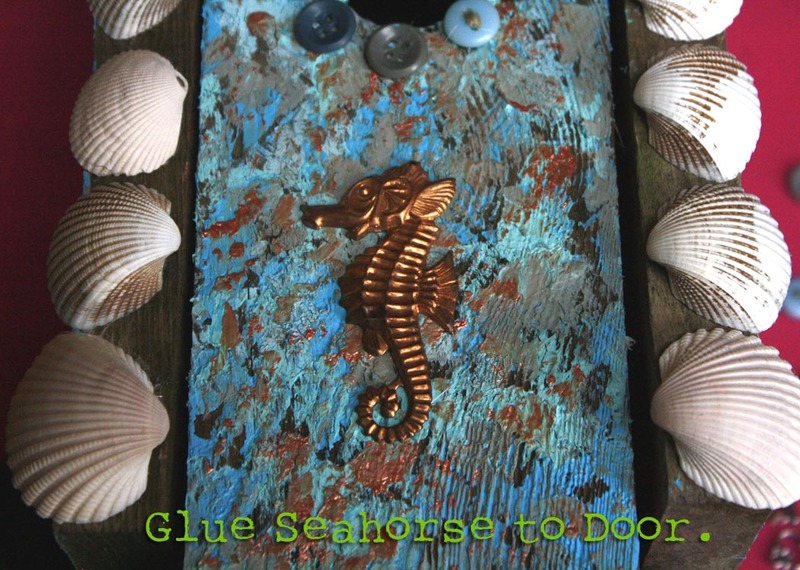 I used her paint scraping technique in colors that fit my style and added some things from our 'junk drawer', some sea shells from our last trip to the beach, old buttons and a seahorse metal charm. 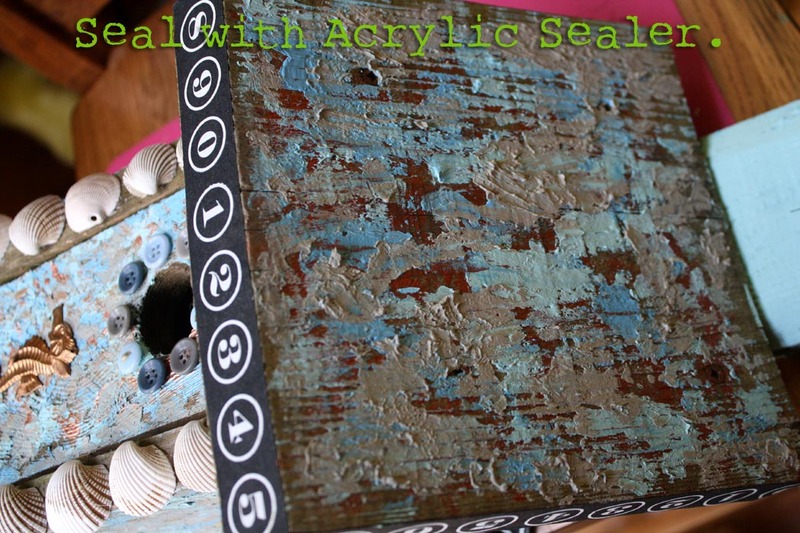 Layers of mixed acrylic paint colors from Crafty Chica, Scribbles and Tulip are all sealed under Aleene's Spray Sealer so this can go outside. 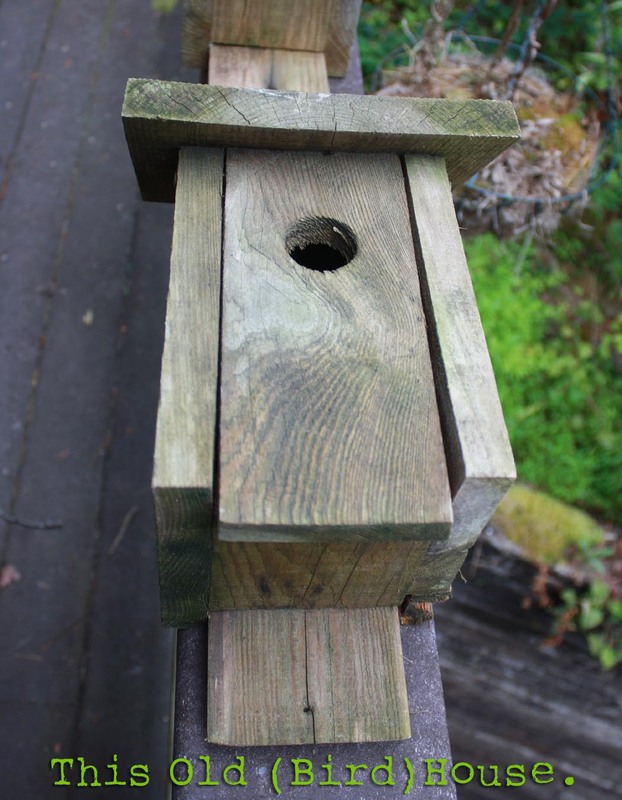 I can't wait for a bird to move in! 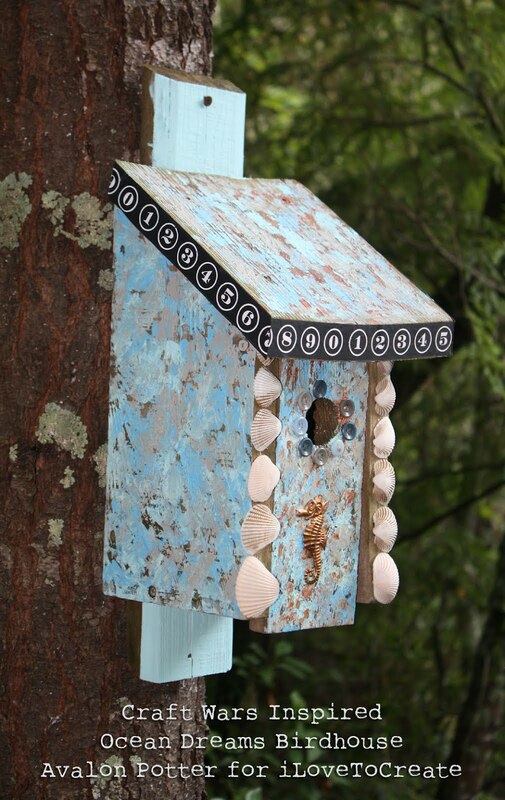 If you are using an old birdhouse, clean off any debris and lightly sand. 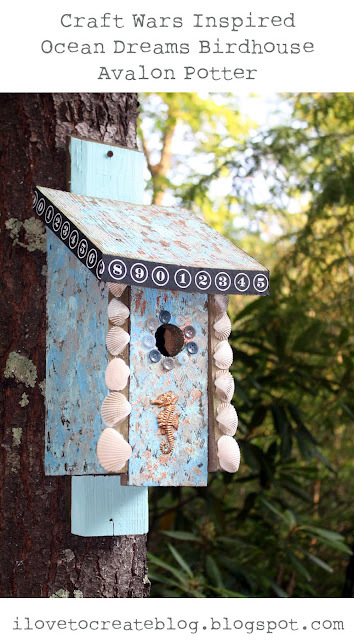 If a new birdhouse, sand lightly. 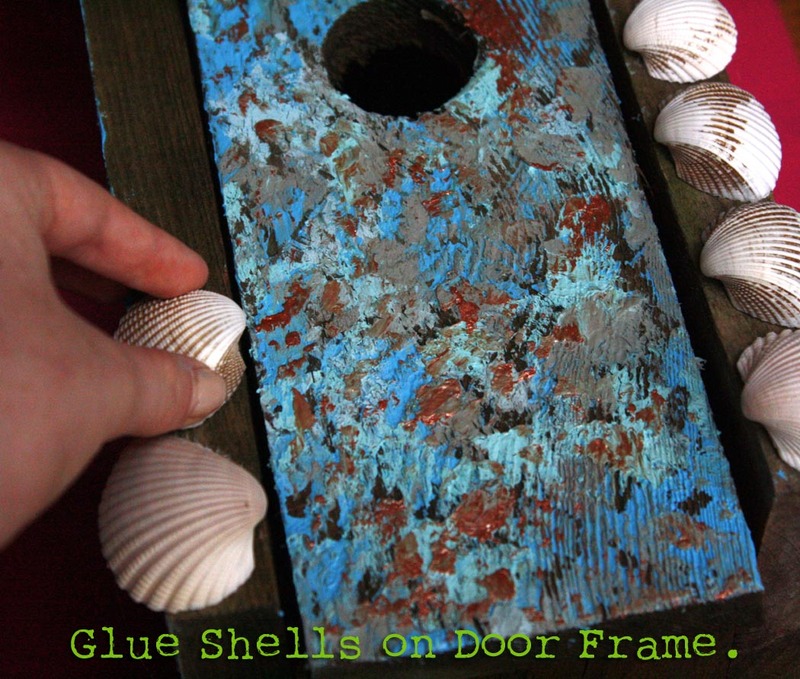 Mix up paints to make several shades of blue, grey and tan. Use a butter knife to scrape paint on house door, roof and sides in layers, starting with the darker colors and continuing until you're happy with how it looks. try not to smash the colors together, layer them on top of each other instead. Use Tacky Glue to glue shells around your door frame. Glue buttons around opening using more Tacky Glue. Glue Seahorse to Door with more Tacky Glue. Yay, Tacky Glue! 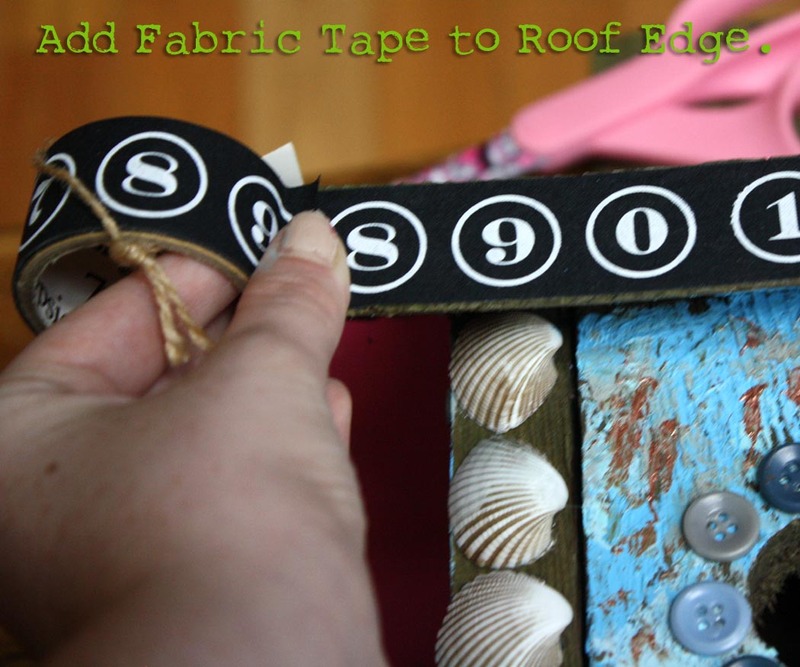 Run tape along edge of roof on front and sides. Cut to fit. Spray with sealer, apply several coats allow them to dry in between each layer. That is just adorable! And it holds up to weather?